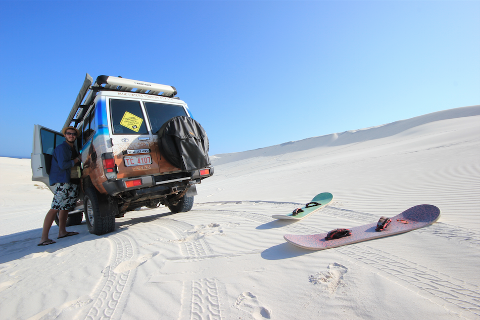 Bring your own Four Wheel Drive vehicle along with our Landcruiser Troop Carrier in the lead for the ultimate adventure experience! 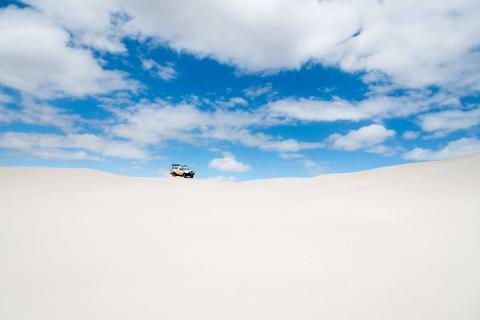 Tag-along tours provide Esperance's Four Wheel Drive visitors with the unique opportunity to navigate their way through spectacular, mostly unseen beaches, tracks and sand dunes (can be testing), driving your own vehicle. 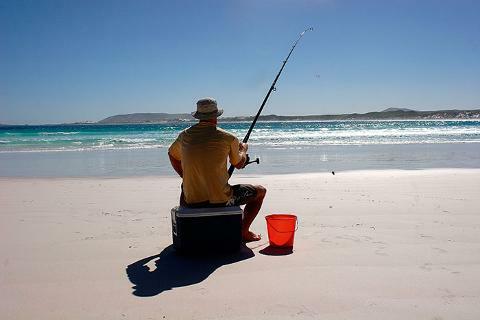 Suitable for groups or individuals 4WDs. 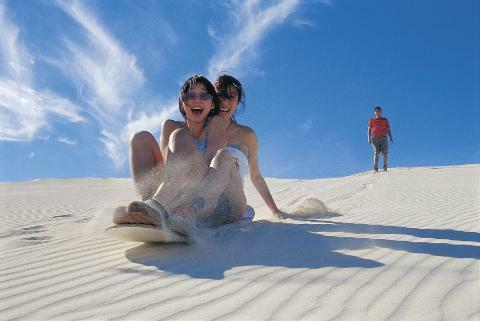 Sandboarding, swimming and a swag of adventure makes it a great day out for the family and friends. 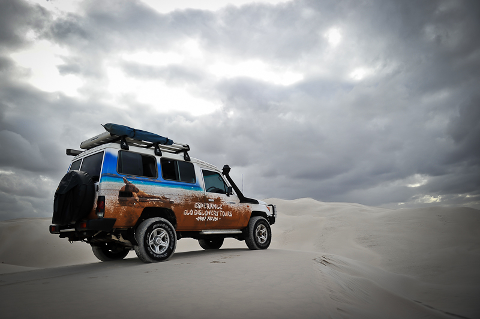 Tag-along Tours operate from December to February.